Hunting is a popular sport and the fact that it can be done during the day, as well as, night makes it even more fun and challenging. However, hunting at night is very much dependent on the light source you’re carrying. As a hunter, you should understand how essential it is to have the perfect equipment at your hands like the best hunting flashlight. The equipment you choose as a hunter is totally up to you, but a hunting flashing is not an option to have. It is, in fact, an obligation. If you’re looking for the perfect hunting flashlight to suit all your needs, then look no further because we have the answers right here. 2.1 Is the Material Tough Enough for Outdoor Activities? 2.2 Is the Lumen Output Enough? 2.3 How Good are the Runtime and Battery? 2.4 Is the Hunting Flashlight Versatile Enough? 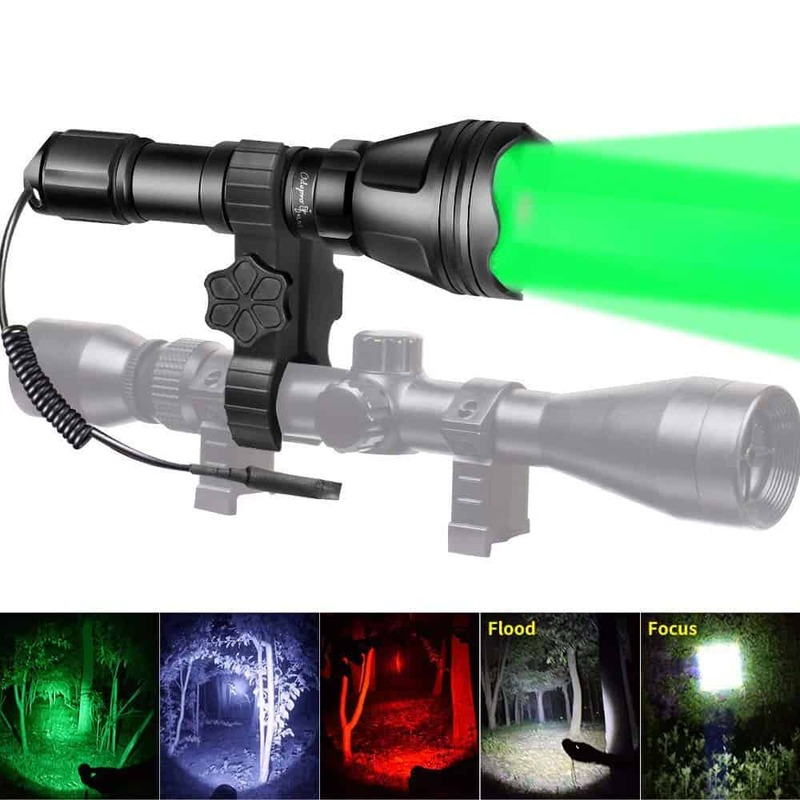 2.5 Can the Best Hunting Flashlight Help with Blood Tracking? In this article, we have talked about the best hunting flashlights to help you make an informed decision. If you’re looking for a hunting flashlight that will provide you with the best results while maintaining your budget, then check out the Odepro KL52. 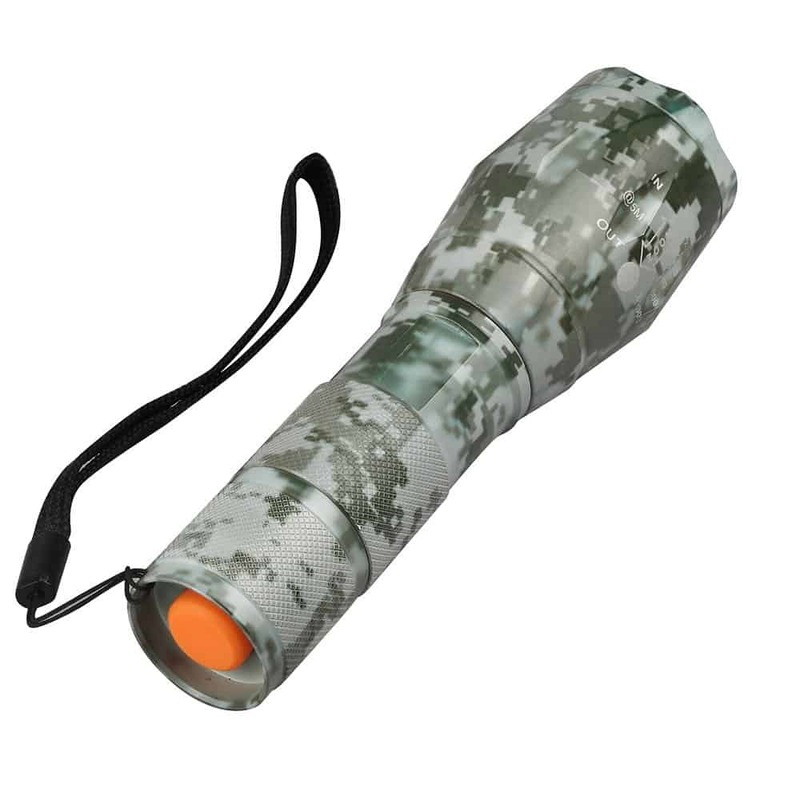 One of the striking features of this flashlight is its adjustable focus, allowing you to zoom out the hunting light. You can even use it as a spotlight when necessary. Therefore, it provides you with a two in one experience. Also, when you zoom out, you’ll be able to reach out as far as 1300 feet at the highest mode. In addition to that, the Odepro KL52 also has 4 LED modules. The modules are red, green, white, and IR850nm. Furthermore, this flashlight is shock and weather resistant, as well as waterproof. So, nature won’t be able to spoil your hunting trips anytime soon. Orion H40-W LED Tactical Flashlight is another great option for hunting at night. It’s most noteworthy feature is that you can mount it on any weapon. The flashlight comes with a remote switch and has a total run time of 75 minutes. The remote switch is useful for getting the small bursts of light, preventing you from night blindness in the long run. 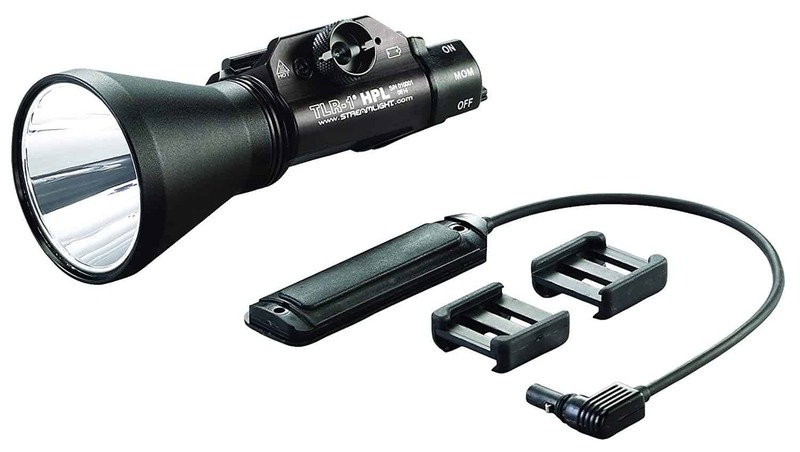 The Orion flashlight package comes with a standard Picatinny/Weaver rail mount ready to be installed, therefore, making it easier to be used on any weapon. Additionally, the Orion is waterproof with a rating of IPX-7 standard. It’s super lightweight and compact so you can easily carry it around. Furthermore, the company also offers a one-year warranty so you can always return or request an exchange in case of an issue. ThruNite has been termed as the best backup flashlight. This is mainly because of its small compact design. It can easily fit into your backpack or even your pocket. Additionally, it’s super lightweight and can easily be carried without adding onto the already heavy hunting gear. 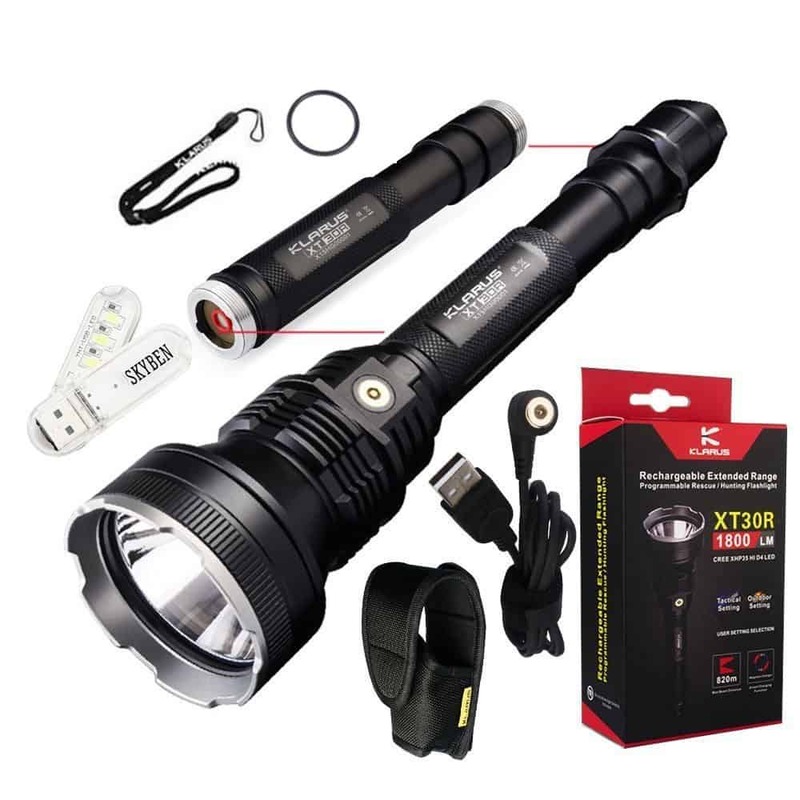 With a maximum output of 550 lumens, this flashlight is powered by one 750mAh 14500 battery or one 2450mAh AA battery. Alongside this, it is waterproof to an IPX-8 standard. Furthermore, the ThruNite flashlight has three output modes that can be customized by twisting either the head or tail switch. One of the most noteworthy features of this flashlight is the one-handed mode it offers. 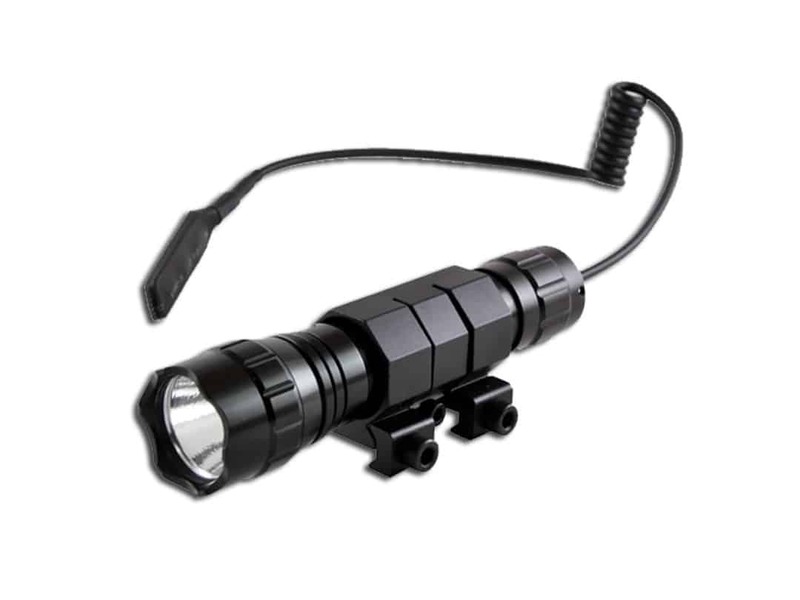 The Streamlight flashlight is among the best weapon mounted flashlights. It’s easily portable but extremely powerful as well. The maximum lumen output this light gives is 775 lumens. Additionally, the beam is powerful enough for stretching up to 200 yards. The flashlight is specially designed to be used with modern weapons. This allows the flashlight to be easily mounted onto a Picatinny rail stand. The one-handed Snap-On will keep your hands away from the muzzle when detaching or attaching. Therefore, this flashlight is super safe to use. The blue fire flashlight is the brightest hunting flashlight with a maximum output of 1200 lumens. In addition to that, this flashlight provides around 100,000 hours of working time so you can use this one for a long time. The camouflage print also makes this a perfect fit as it easily blends in with the environment. Furthermore, the torch has an adjustable focus range. This range allows you to stretch the light and adjust its focus, giving you the advantage to see a long way ahead without having to move to that location. Moving on, the flashlight is waterproof with an IP65 rating. This basically implies that the flashlight can withstand splashes. Therefore, you can easily use it in harsh weather conditions. Not the best battery life so you’ll have to carry an additional battery with you for long hunting sessions. The flashlight comes with three light modes, red light, green light, and white light. The three modes are easily interchangeable with the click of a single button. Therefore, you wouldn’t have to switch between different buttons to change the mode, and there’s no need to remember any button’s specifications as well. With a maximum output of 250 lumens, this flashlight is powered by AAA batteries. Besides that, the flashlight is IPX7 rated which means that weather conditions don’t disturb its performance. The different colored lenses and the three light modes will help in making your hunting easier at night time. Animals are generally not sensitive to red/green lights. Therefore, using the red or green light mode can help you move without disturbing the animals. It can also help in creeping onto unsuspecting animals you wish to hunt. The GearLight is the most budget-friendly flashlight you can ever come across. It doesn’t cost a whole lot yet delivers excellent results. The most remarkable feature is the battery life of this flashlight. With the battery lasting up to 3 days, this definitely is one of the best flashlights to take when you’re going on a longer trip. You’ll be spared from carrying a whole lot of batteries along with you. With a maximum output of 1200 lumens, this flashlight is also amongst the brightest. In addition to that, the flashlight has five different light settings which include strobe and SOS. Furthermore, the flashlight requires AA batteries to run which are readily available that you can store in your backpack in case of an emergency. The Streamlight 88040 ProTac HL is the ideal compact flashlight that provides you with bright, high-quality white light. Alongside this, the flashlight is small enough to be hooked onto any pocket holster or clip. Furthermore, it is designed to be compact and drop resistant. Therefore, you can easily use it without necessarily worrying about dropping it and breaking it. 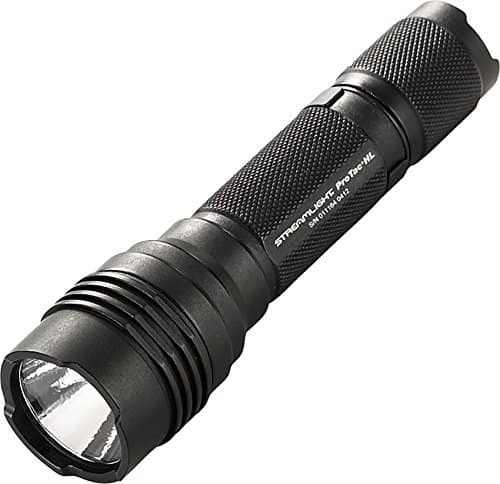 The 88040 Streamlight has three available modes: high mode, low mode, and strobe. Strobe mode is useful for throwing off attackers or confuse animals while you’re hunting. Also, the flashlight is very light and weighs only 0.3 pounds. 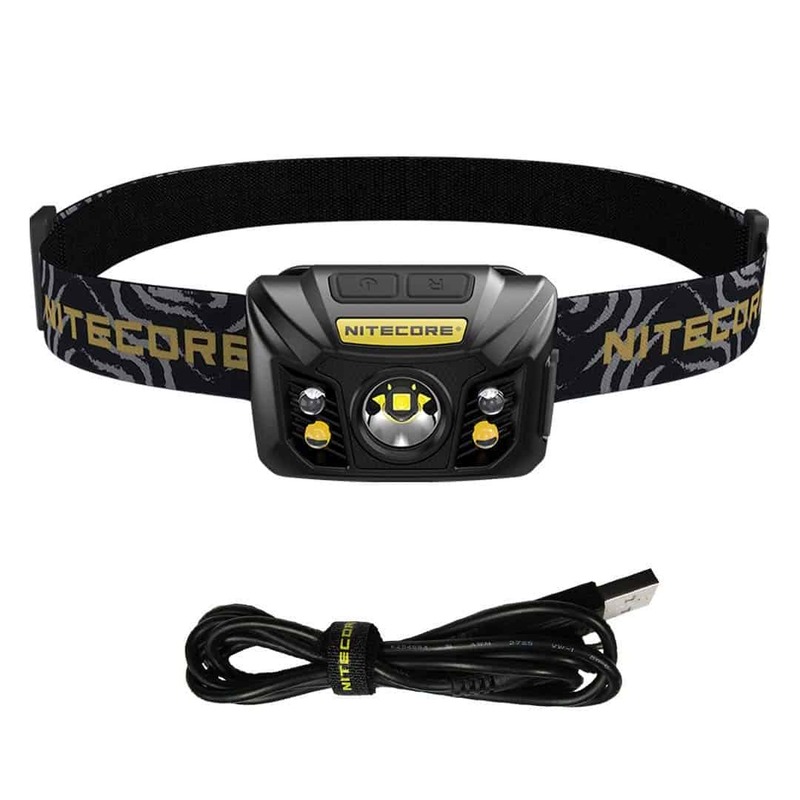 The Nitecore NU30 comes on our list as the best high-performance, rechargeable hunting headlamp. It uses a CREE XP-G3 S3 LED which provides one with exceptional light output. The maximum output this flashlight provides is 550 lumens while the maximum beam throw is around 395 feet. Furthermore, the headlamp comes with a built-in Lithium-ion rechargeable battery. The flashlight has a runtime of around 330 hours while it offers multiple types of light sources. These include White LED, Red Auxiliary LEDs, and High CRI Auxiliary LEDs. Additionally, the manufacturing company has ensured that the headlamp is waterproof, and for that they have installed a built-in rubber cover. This serves as an airtight seal. With a beam throw of 2690 feet, the Klarus flashlight is known as being the best long throw flashlight. The flashlight offers two modes that allow users to program the flashlight’s light according to a specific task at hand. In addition to that, the flashlight offers various modes like the strobe, turbo, hight, medium, low, and SOS. Furthermore, the flashlight is compatible with all 1” rail mounts. It’s powered by Lithium-ion batteries which are rechargeable with conveniently located switches. The switches are present on the tail end, and one is located towards the side. The best part we find about this flashlight is that the switch has a large contact surface making it easier to use with gloves. 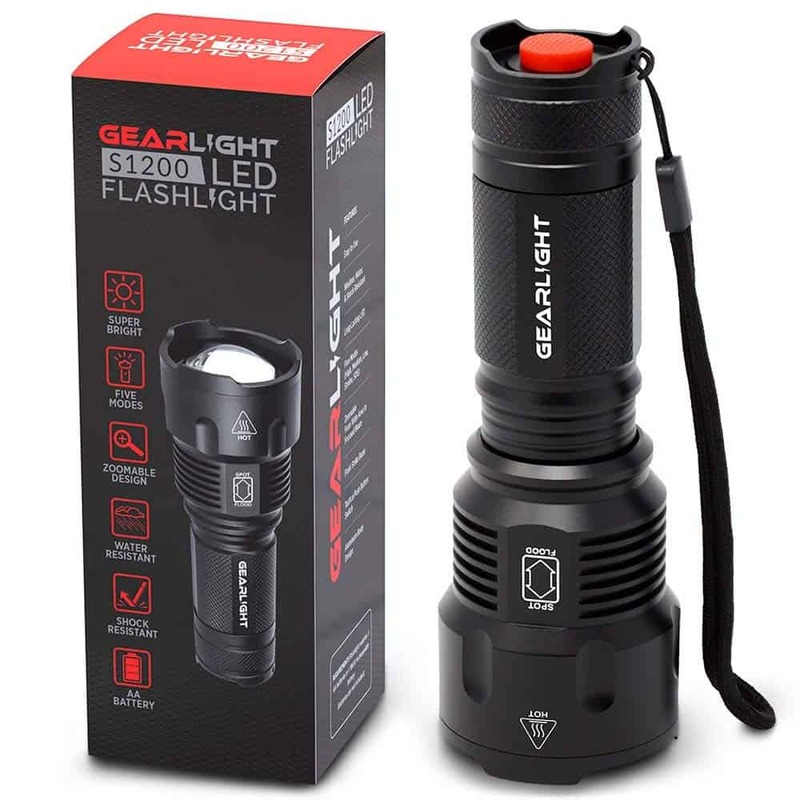 Up till now, we have covered what to look for while buying the brightest flashlight as well as some of the top flashlights available. The buyer’s guide for hunting flashlight is slightly a combination of these two. Nevertheless, every flashlight has some peculiarities in one way or another. To make sure you’re buying the perfect one from your hard-earned money, keep the following points in mind next time you go out to buy a hunting flashlight. Is the Material Tough Enough for Outdoor Activities? Unlike other flashlights, hunting flashlights are mostly for outdoor purposes in rough conditions. Therefore, it’s essential to check out the material these flashlights are made from and how tough they are. Generally, aluminum is a pretty sturdy metal for a hunting flashlight. In addition to that, see if you can find the impact resistance rating of the flashlight you wish to buy. The impact resistance is usually measured in meters and is calculated by dropping the flashlight to check how sturdy they are. Having a good impact resistance will result in no issues to the working of the flashlight in case of the occasional drop. For water resistance, make sure you have a good look at the IPX ratings of the flashlight. IPX 4 rating means that the flashlight will work in the rain but not under water. IPX 7 and IPX 8 can work underwater with IPX 7 working for half an hour and IPX 8 for up to 4 hours. Is the Lumen Output Enough? Hunting flashlights should have a certain level of brightness that is sufficient enough for outdoor trips. In addition to figuring out the maximum lumen output a flashlight provides, you’ll also have to look at the beam length of the flashlight. It’s essential that you take a close examination of these two properties as it will greatly affect your hunting. How Good are the Runtime and Battery? Now that you have figured out the brightness and beam level, it’s time to see the runtime of a flashlight in terms of its battery life. How frequently would you need to change the batteries and how much run time would each battery give. Usually, double A and triple A batteries are easier to find and can be replaced easily. However, some other types like CR123A are difficult to find. Rechargeable batteries are cheaper than replaceable ones, but they usually weigh more and need proper hours to be charged. You’ll have to figure out which type suits your style. Take into consideration how long your hunting trips usually are and how much weight you can easily carry. Is the Hunting Flashlight Versatile Enough? You can’t buy a bunch of flashlights with different specific characteristics, that’s just unrealistic. You’ll have to choose one that has a variety of features to suit your requirements. An adjustable beam is suitable to use for a multitude of purposes. Similarly, having several modes can help you as well. For example, having a flashlight that has the red light mode, strobe, and SOS can take care of all your needs, be it at night (red light mode) or in case of an emergency. Can the Best Hunting Flashlight Help with Blood Tracking? Yes, this is possible with some flashlights that uses light that makes blood glow in the night, making it much easier to track your game. 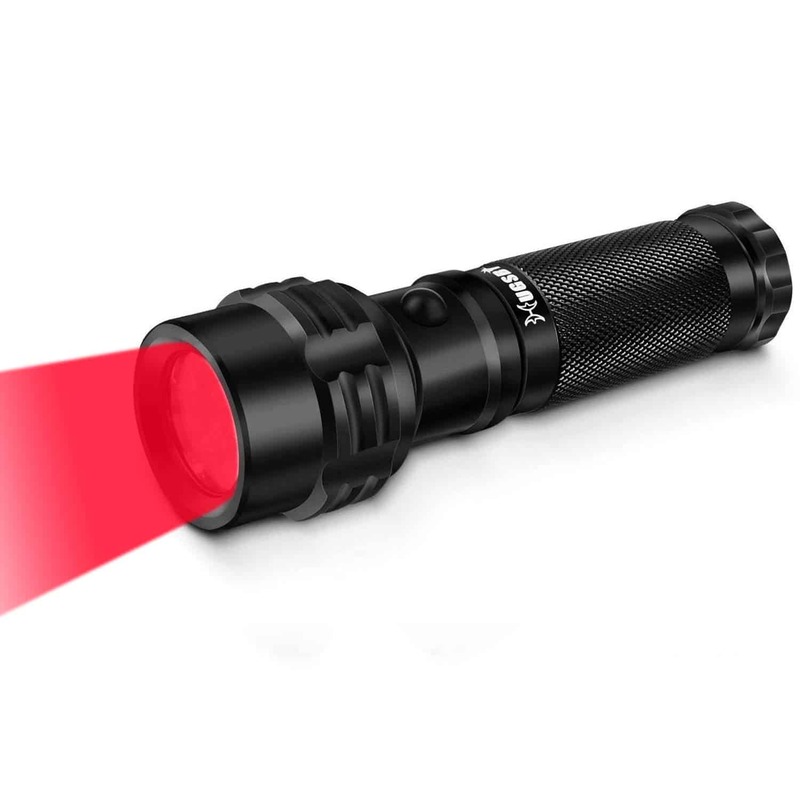 These flashlights use powerful LED lights as well as advanced filters to enhance light output that makes blood glow. 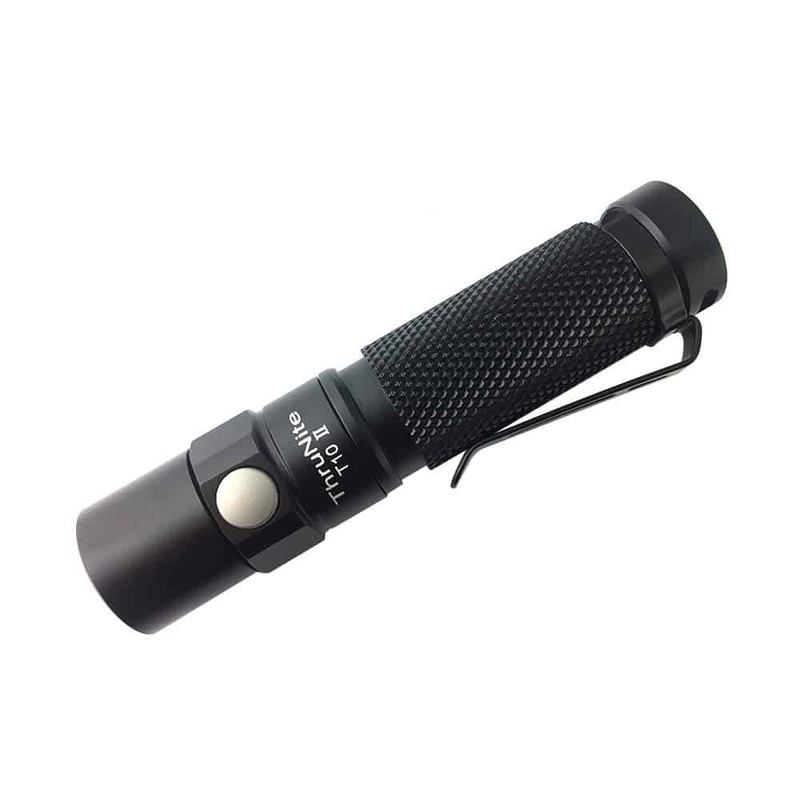 Simply put, if you are looking for the best blood tracking flashlights, try to choose that use powerful LED lights. And, with that, we’re done with our top hunting flashlight picks! The list is quite extensive as it covers hunting flashlights from various backgrounds and uses. Some of these flashlights are expensive while others are much cheaper. In the end, it comes down to your requirements and needs for a flashlight. As mentioned in the buyer’s guide as well, make sure you list down your requirements and then decide on buying a flashlight.